During air travel you often sit still for many consecutive hours and blood circulation is slowing down due to the limited legroom. This makes it easier for the blood in the veins to clot. The blood clots (thrombi) that arise from this can occlude a blood vessel. We call this thrombosis. But that only happens to old people, right? No, definitely not. In fact, when it is genetically determined, you can even suffer from thrombosis of the legs at a very young age. There are a number of risky situations. For example, when you’ve recently undergone surgery or if you suffer from varicose veins. But also during pregnancy or if you’re a smoker. Also in case of dehydration, the chance of traveler's thrombosis also increases or when you undergo hormone therapy such as using the birth control pill. If this occlusion occurs in a deep leg vein (then it’s called a deep vein thrombosis) it becomes dangerous. When the airplane is landed and you start to move again, the thrombi can detach and float with the blood flow to the heart or lungs. There they can cause serious problems (eg pulmonary embolism), and possibly even have a fatal outcome. This sounds very scary off course, and you’ll probably think twice next time you are boarding on a plane. Don’t worry though, it is surely not a common ailment. Research has shown that only 4 to 6 percent of passengers actually develop deep vein thrombosis as a result of flights of 10+ hours. Besides, there are some good ways to avoid thrombosis legs. But how? How do you avoid deep vein thrombosis in the legs and swollen ankles? This is of course the key question. We can frighten you with this story, but then we should also have to come up with a solution, don’t you agree? Well, you have to ensure that the blood circulation remains optimal in the legs. One way to do this is by regularly moving on long flights. With some airlines you can even play special exercises on your TV screen. In addition, ​wearing compression socks can offer you great help. 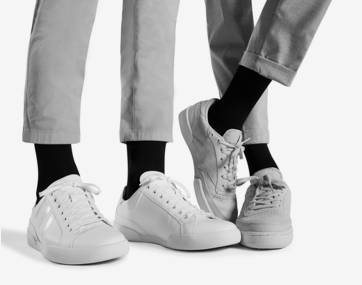 When you wear them, the chance of traveler's thrombosis is reduced by almost 19 times. What these socks do exactly? The word says it all: 'compression'. 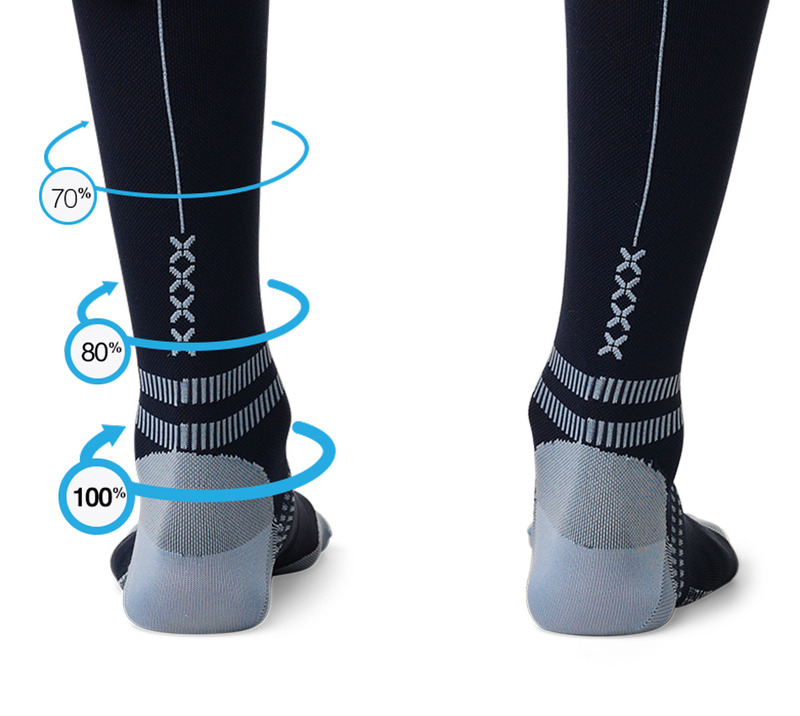 The socks contain graduated compression and are therefore providing the correct level of pressure to specific parts of the legs. This enhances circulation and provides more vital oxygen to your active muscles. The highest pressure is at the ankle and gradually decreases just below the knee. Blood and fluid flows downwards because you’re sitting in the same position for a long period of time and the compression is 'pushing' it back up again. This ensures an optimal blood circulation and creates maximum oxygen supply to the muscles, which prevents swollen ankles and painful feet. 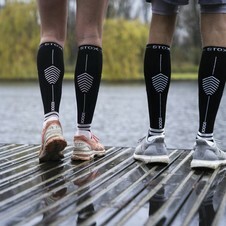 STOX Energy Socks specially developed the 'Travel Socks' for traveling. 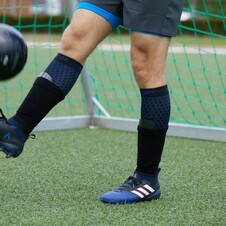 These socks are made with innovative materials such as Milk Fiber. These fibers consist of milk casein proteins, which are PH neutral and therefore nourish and oil the skin. The temperature on a plane is never ideal and often cold. Therefore STOX Travel Socks contain Merino Wool. They are all-rounders that do exactly what you’d expect from them. They do this regardless of the season: they cool you off in the summer and keep you warm in the winter!​ Perfect for flying. Our advice: wear your STOX Travel Socks and you’re ready to travel. Have a good flight!